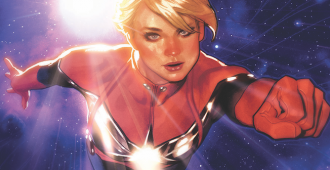 Grey Matter Art is releasing Adam Hughes’ Captain Marvel #1 cover as their latest poster. 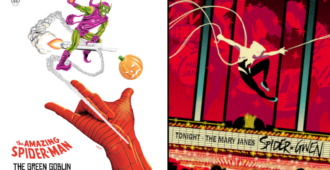 Raid71 and Doaly have created new limited edition prints from the Spider-Man Universe from Grey Matter Art. 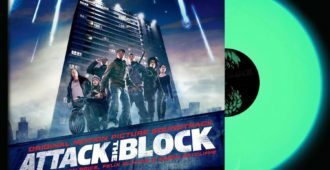 Grey Matter Art and Bottleneck Gallery have released Limited Edition Screen Prints from SPIDER-MAN: INTO THE SPIDER-VERSE! 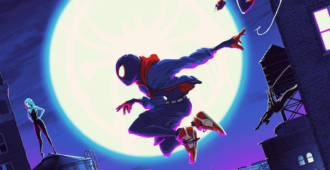 Limited Edition Screen Prints from SPIDER-MAN: INTO THE SPIDER-VERSE are being sold by Grey Matter Art and Bottleneck Gallery. THE EXORCIST by Sara Deck is on sale right now on GMA’s Website! 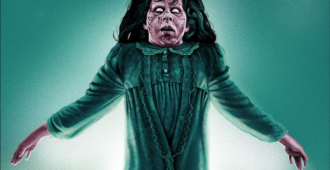 Grey Matter Art has released THE EXORCIST by Sara Deck. It is available to purchase on the GMA website right now. 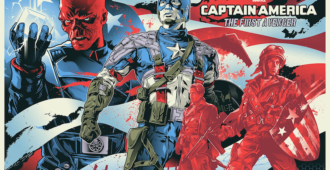 Marvel’s CAPTAIN AMERICA: THE WINTER SOLDIER by Anthony Petrie will be on sale on Jan. 15th, 2019 from Grey Matter Art right now! Grey Matter Art is releasing Marvel’s CAPTAIN AMERICA: THE WINTER SOLDIER by Anthony Petrie on Jan. 15th, 2019. Vice Press and Grey Matter Art are releasing Limited Edition posters by Matt Ferguson on January 10th, 2019! 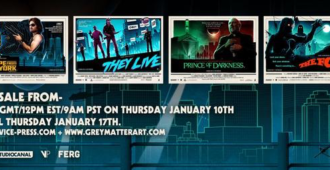 On January 10th, 2019, Vice Press and Grey Matter Art are releasing Limited Edition posters by Matt Ferguson for one week only! [WINNER CHOSEN!] 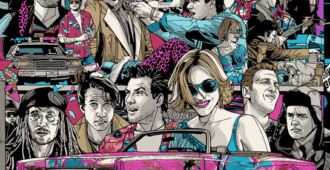 GMA is giving away the newest Limited Edition Screen Print from TRUE ROMANCE by the amazing Tyler Stout! Check it out! GMA is giving away a Limited Edition Screen Print from TRUE ROMANCE by Tyler Stout, here at HDN. Check it out! Tyler Stout’s TRUE ROMANCE is Grey Matter Art’s newest Limited Edition Screen Print and goes on sale on December 13th! 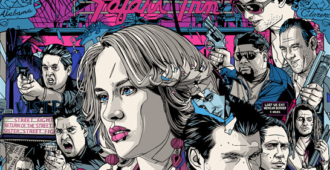 Grey Matter Art’s newest release is Tyler Stout’s TRUE ROMANCE. It is a Limited Edition Screen Print. Marvel’s GUARDIANS OF THE GALAXY VOL. 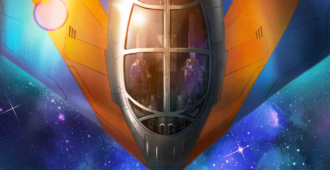 2 by Andy Fairhurst is available from Grey Matter Art right now! Andy Fairhurst’s GUARDIANS OF THE GALAXY VOL. 2 is a Limited Edition fine art print from Grey Matter Art. 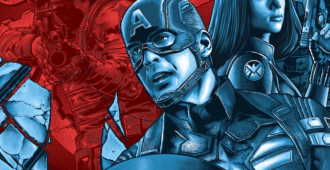 Grey Matter Art is releasing 2 Limited Edition Prints to Celebrate Marvel Studios’ 10th Anniversary! 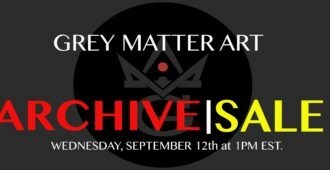 Grey Matter Art is having an Archive Sale on Wednesday September 12th! 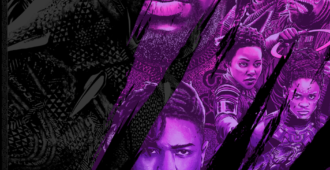 Grey Matter Art’s Newest screen-print is Marvel’s Black Panther by Anthony Petrie. Grey Matter Art’s screen print of EVIL DEAD 2 is on sale now! 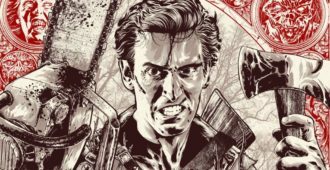 EVIL DEAD 2 is the newest screen print from Grey Matter Art. It is on sale now at the website! 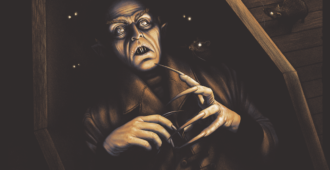 NOSFERATU by Sara Deck is Grey Matter Art’s latest poster goes on sale February 15th! Grey Matter Art’s latest poster named NOSFERATU by Sara Deck goes on sale on February 15th, 2018! 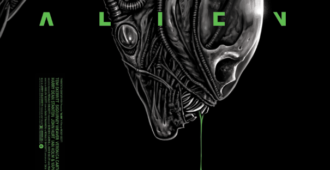 Grey Matter Art’s newest screen print is of Ridley Scott’s ALIEN! The latest screen print from Grey Matter Art is from Ridley Scott’s ALIEN.